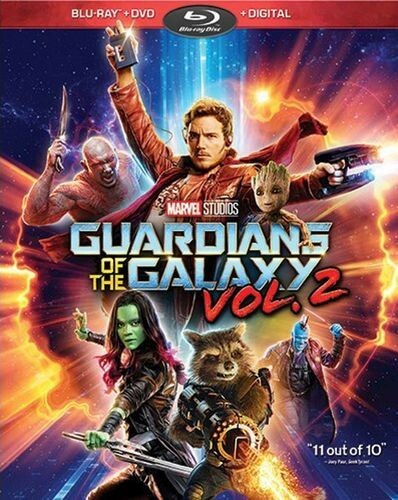 OK, this Guardians of the Galaxy Vol. 2 music video with David Hasselhoff is kind of goofy. But I don’t get the sudden 1980s-themed campaign being taken in selling the movie’s home video release. It’s not just this video, a few weeks ago Marvel Studios released a commercial for the release that looks like an old-fashioned infomercial that looks like the kind of thing that would air at 2 am on basic cable. The approach strikes me as odd because it’s so out of left field when measured against the movie’s theatrical marketing campaign. There was nothing there that harkened back particularly strongly to the eras of the Reagan or Clinton presidencies. Nor was there anything in the movie itself that really provided a strong nostalgic hook to those decades. The music of the soundtrack that was such a big part of the campaign was pulled more from the 70s than anything else. The running gag about Peter Quill (Chris Pratt) believing as a child that Hasselhoff was his father is about the only overt nod in that direction. So what’s behind this unusual and out-of-context direction for the home video release? It may simply come down to doing something to break through the media clutter. Goofy videos with grainy footage and a mugging star best known for talking to his car and rescuing people off a beach will get the internet’s attention. That attention translates into sharing by individuals and coverage in trade press and fan sites, all of which aides awareness that the home video is about to drop, which hopefully translates into sales. Notably, it’s not impacting how the actual disc is being sold. The cover for the DVD/Blu-ray/digital combo pack uses a variation on the established key art from theatrical campaign. It’s not quite exactly what was used on the posters, but it pulls different elements from different versions of that campaign and mashes them together. Don’t get me wrong, it’s a fun little campaign Marvel Studios has put together here. But it’s way out of the lane established in the lead up to theatrical release and so comes off as a bit off-brand. The studio obviously wanted to do something unique, though, and it’s got enough press coverage to call the campaign a success.